Disclosure: Complimentary tickets were provided for review purposes. 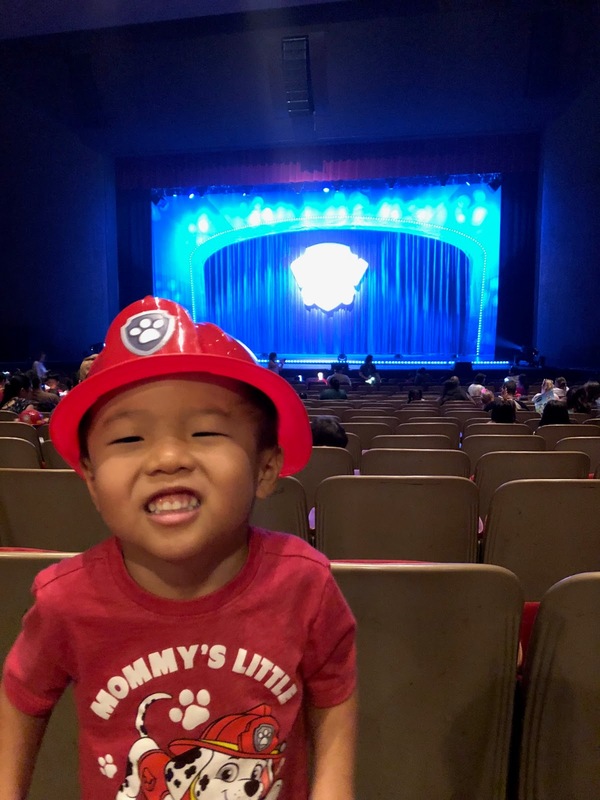 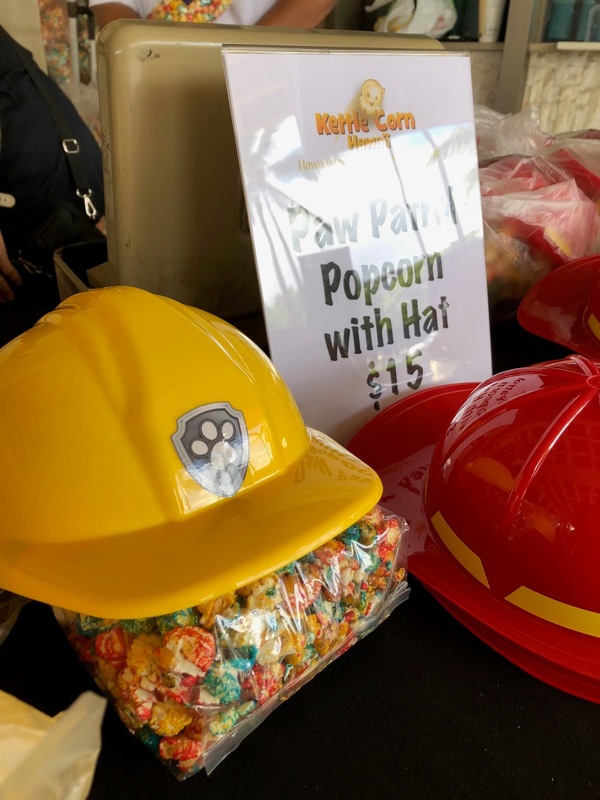 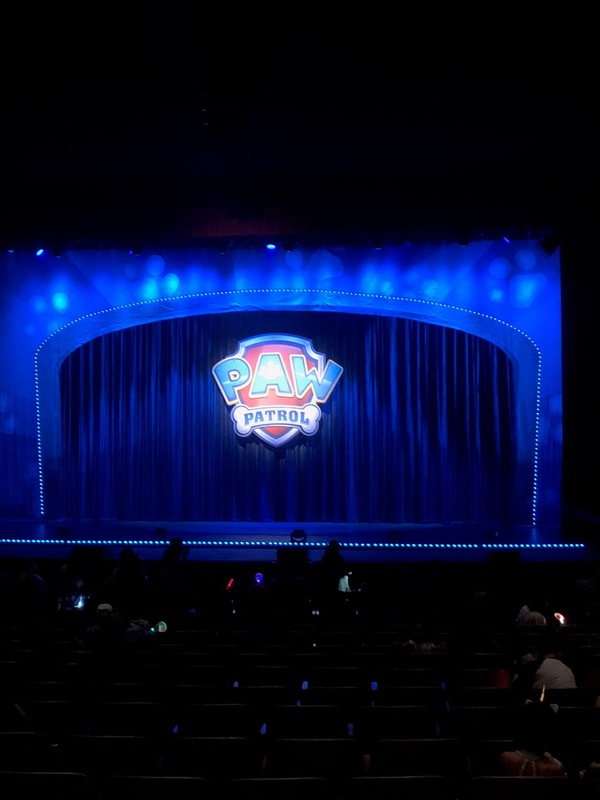 The ever-so-popular hit TV show PAW Patrol has come to life at the Neal S. Blaisdell Concert Hall! 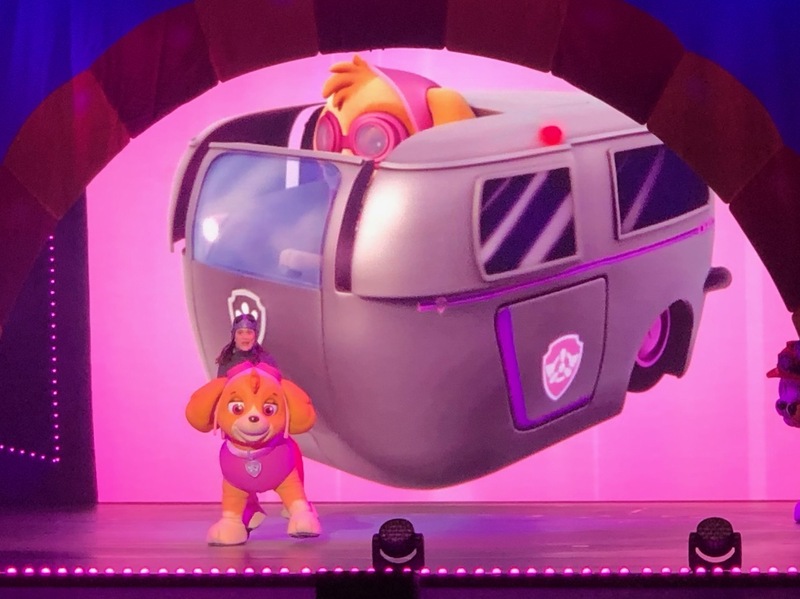 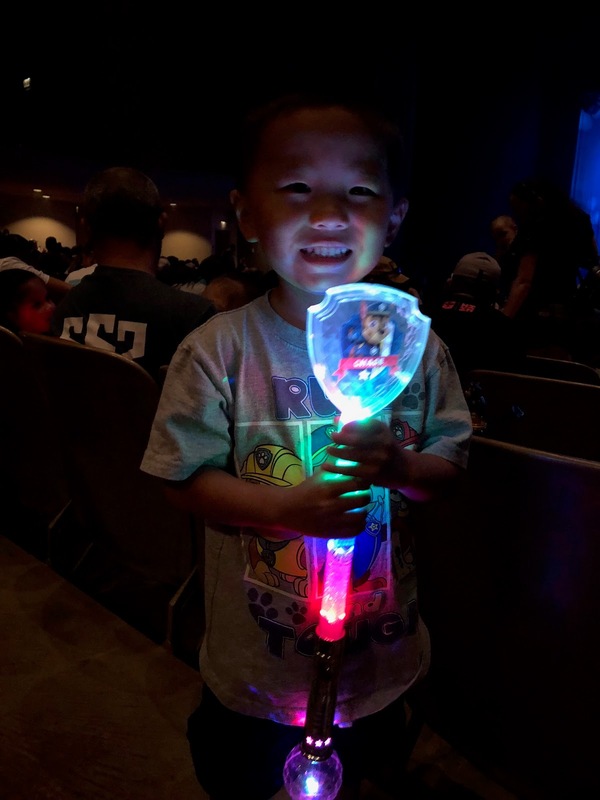 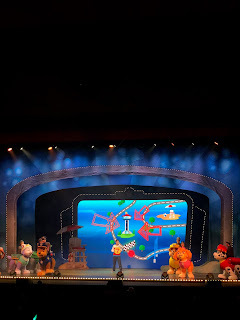 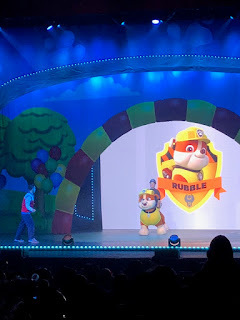 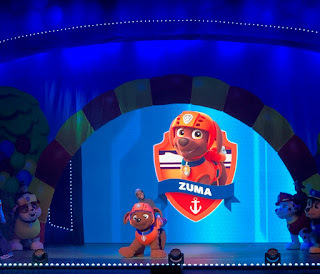 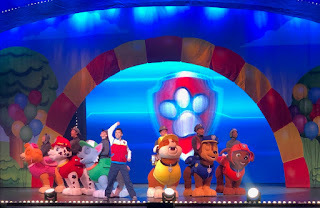 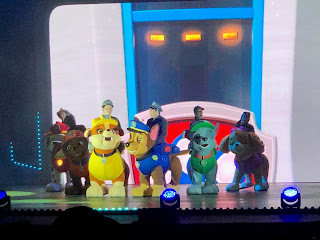 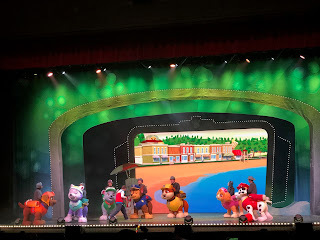 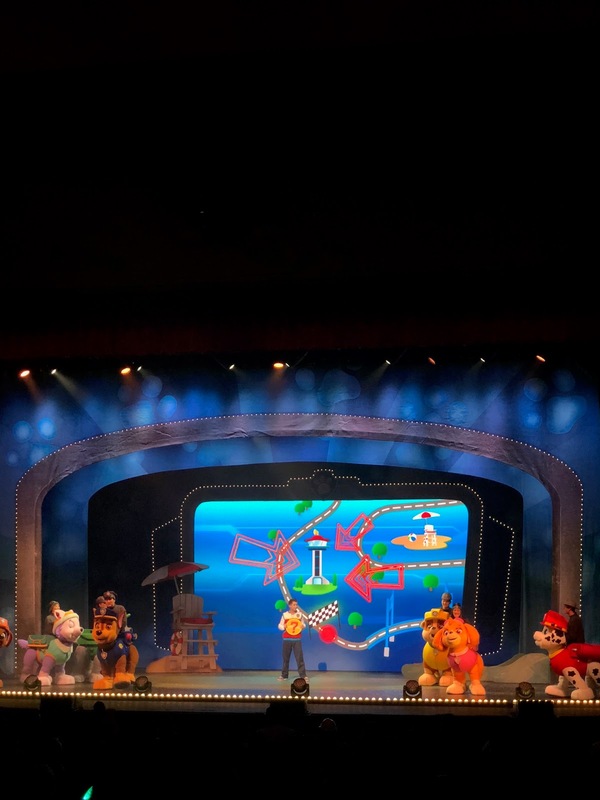 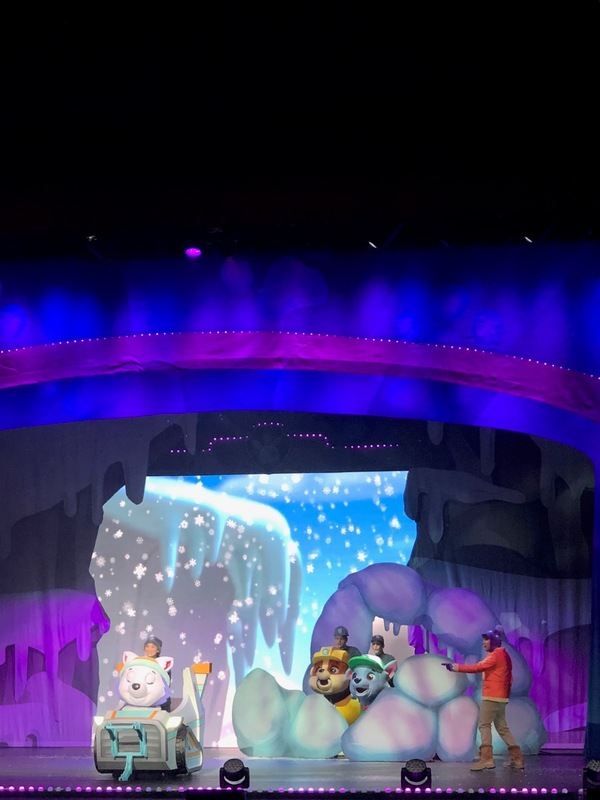 Paw Patrol Live: Race to the Rescue is a fast-paced, action-packed musical complete with colorful costumes, catchy songs, and an easy-to-follow story-line that is appropriate for kids of all ages. 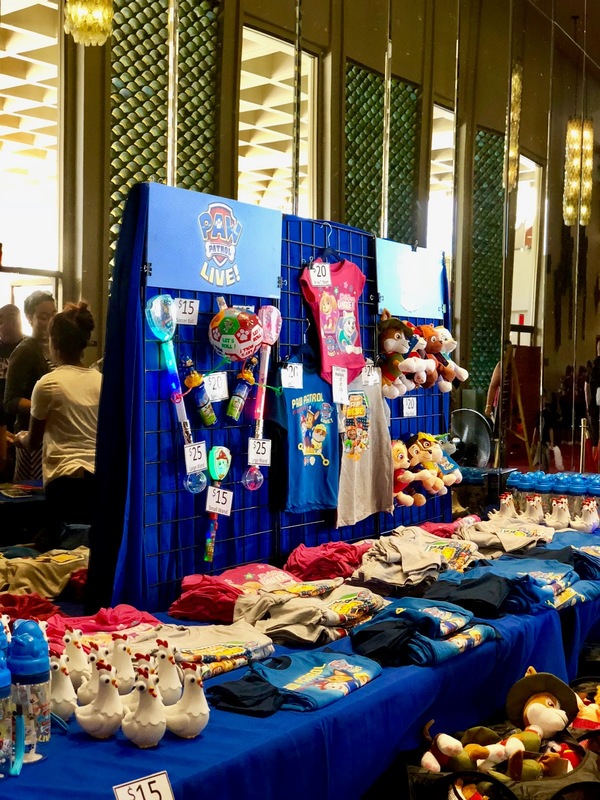 and official PAW Patrol merchandise such as t-shirts, stuffed animals, lanyards, glow wands, and bottles w/straw lids. 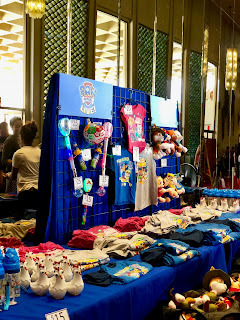 If you don't have time to shop before the show, don't worry, you'll have plenty of time during the intermission or after the show. While we were waiting for the show to start, my boys kept asking me "is it time yet?!" They were so excited to see the PAW Patrol gang! 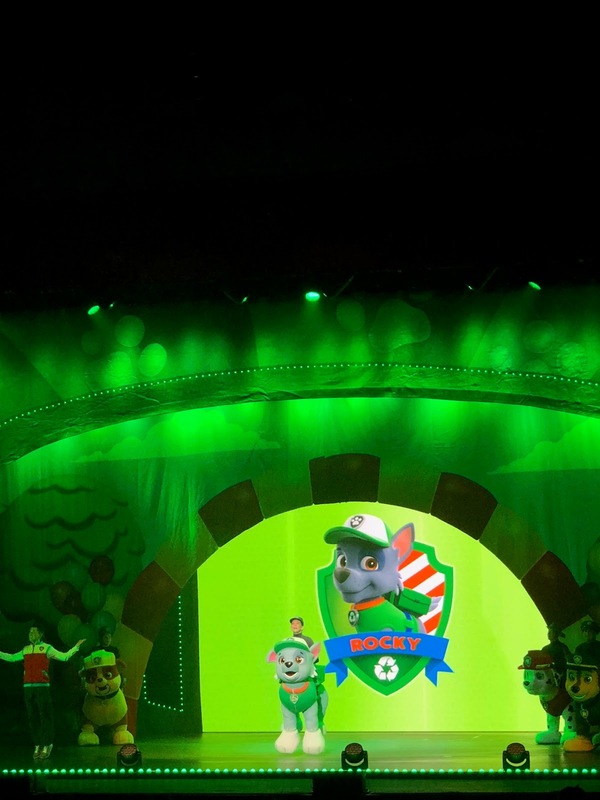 The lights went out, the music started and out came Ryder to get this party started! 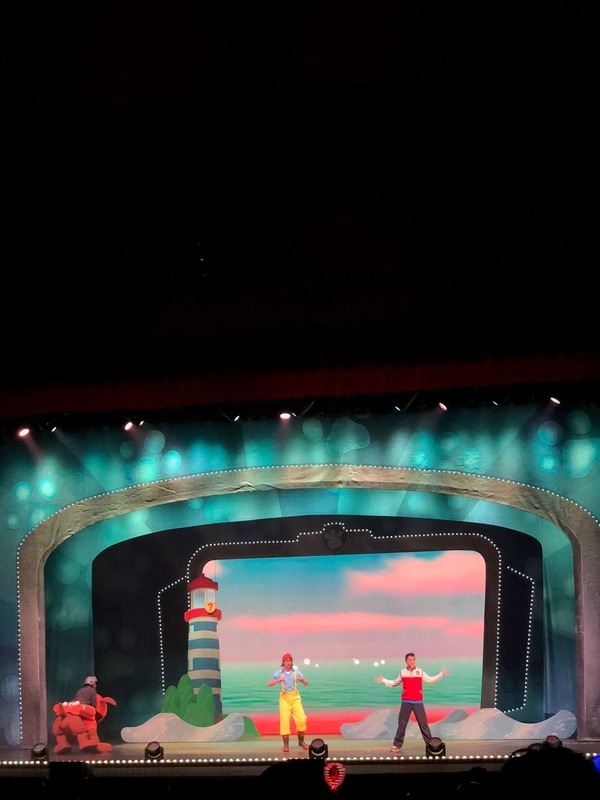 It's the day of the Great Adventure Day Race between Mayor Goodway and Mayor Humdinger. 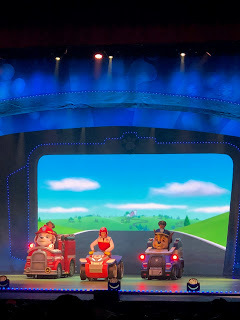 When Ryder and the PAW Patrol pups learn that Mayor Humdinger can't race due to injuring her foot, they step in to take her place in the race. 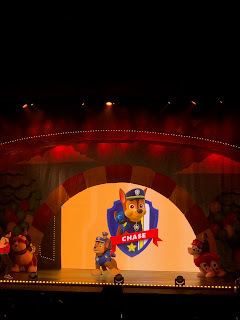 The PAW Patrol pups and Ryder race to find all the clues and find the finish line first, before Mayor Humdinger and before the sun goes down. 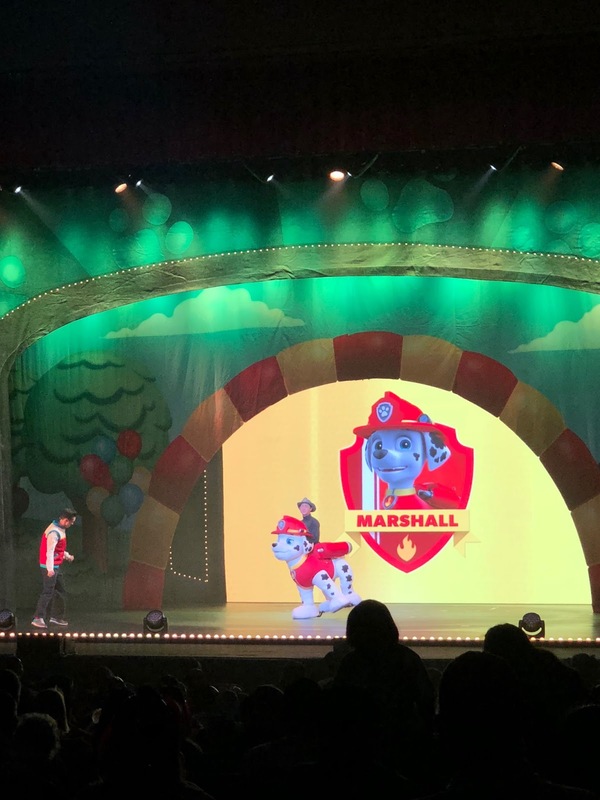 My boys were mesmerized through the entire performance, probably from seeing the TV show come to real life before their very eyes. 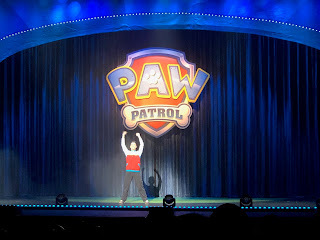 They recognized a lot of songs and catch phrases from the TV show that they watch on a daily basis! The show was a little over an hour long, with a brief intermission at the 35 minute mark. Time went by really fast and before I knew it, the show was over. 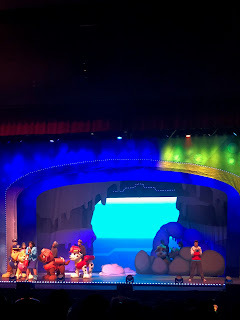 During the show, a lot of the children in the audience were clapping, singing, and dancing, and even the adults were getting into the groove as well. 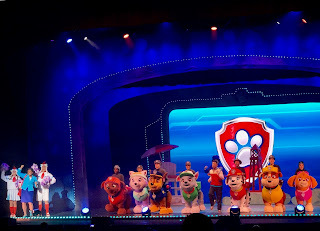 And in addition to its entertainment value, the show also teaches you about heroism, bravery, and working together to help people (and animals) in need. 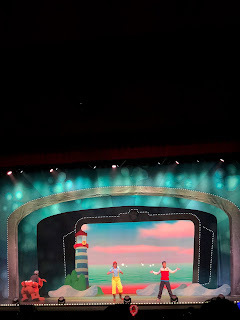 Tickets for the remaining 10 performances on Oahu are available at Ticketmaster.com or at the Neal S. Blaisdell Box Office. The show will then head to Maui, HI from July 13-15, 2018 (click here for ticket information).